The Harlech Triathlon, now in its second year of being organised by Always Aim High Events, was back for 2019 this weekend. The scenic location in Wales was matched by good weather; and the organising team pointed to the ‘high calibre of athletes and spectators’. As one of very few triathlons in the world hosted at a UNESCO World Heritage site, the Harlech Triathlon offers athletes something very special – the chance to finish inside Harlech Castle itself. 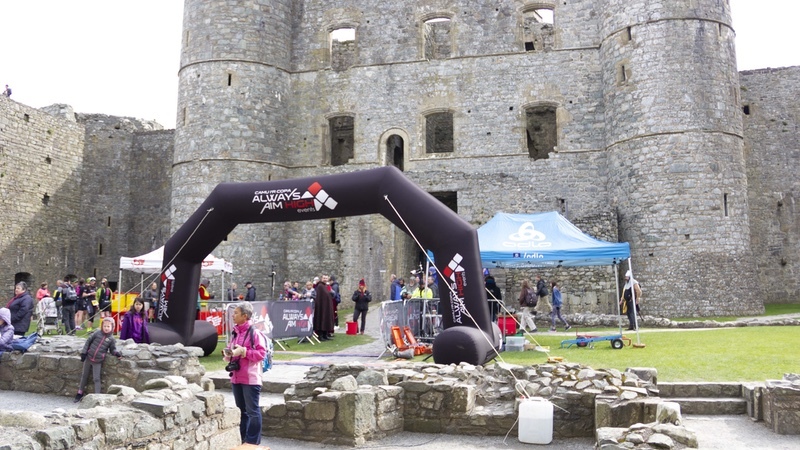 The event kicked off with the triathlon, consisting of a 400m pool swim, 21 km road cycle and a 6 km run, finishing with ‘Storm the Castle’ – a climb up 127 steps to Harlech Castle. The organising team noted that conditions were perfect for the event and ‘really showed Harlech Castle, the course, and the surrounding area off to its absolute best.’ As an Always Aim High Communities Event, all proceeds will be going back into local community initiatives in and around Harlech adding to the event and local community for years to come. Always Aim High Events Director, Tim Lloyd said “We love coming down to Harlech every year to kick off our triathlon season. The venue for this event really is unique and is one of the favourites in our calendar – I mean where else can you cross the finish line in an actual castle! “The weather has played a big part and conditions have been perfect all weekend. We’ve seen some fantastic racing from the elite athletes and some amazing achievements from people who are taking part in their first ever triathlon. He continued, “We’d like to thank Harlech Triathlon Club and the Harlech community for helping and contributing to the running of the event, as well as our race sponsors for their continued support. We’d also like to thank all of the local spectators that turned out to support the athletes around the course.